Beautiful, casual and elegance best describe this woven area rug. The elements of the design add energy and movement. Unsurpassed in quality and style without sacrificing affordability, these woven area and accent rugs are beautiful additions to any room in your home. No Warranty. 90 day return policy. After 90 days please contact the consumer line at 877-737-8343. With this stunning Spiral Medallion Gray 5 ft. 3 in. X 7 ft. 3 in. Area Rug you can provide an upgraded style to any setting. Great for helping to create a relaxed environment, this loomed rug is designed with brown colors, adding to your welcoming decor. Ideal for sinking your toes in, it is 0.55 in. thick, creating a warm environment. 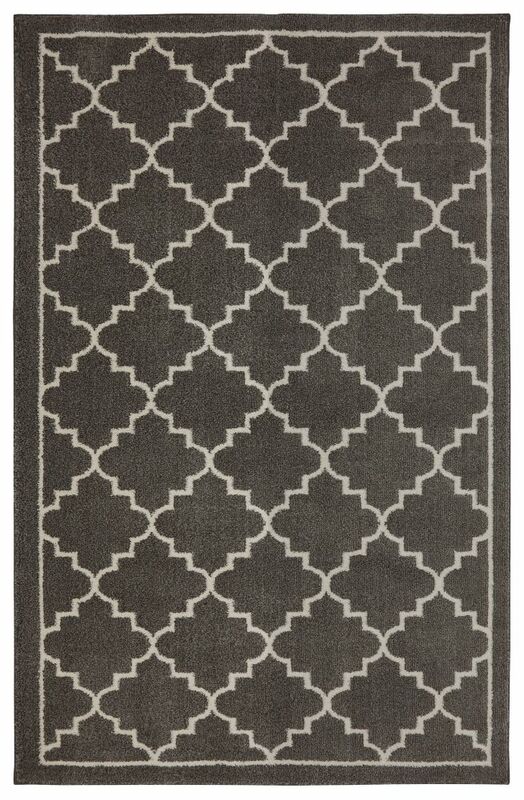 This loomed rug features a modern, transitional style, a geometric medallion design and a unique texture. Featuring durable synthetic polypropylene, it will resist stains and fading. For added functionality, a rug pad is recommended. Winslow Walnut 5 Feet x 7 Feet Area Rug Beautiful, casual and elegance best describe this woven area rug. The elements of the design add energy and movement. Unsurpassed in quality and style without sacrificing affordability, these woven area and accent rugs are beautiful additions to any room in your home. Winslow Walnut 5 Feet x 7 Feet Area Rug is rated 4.8 out of 5 by 56. Rated 5 out of 5 by Krista from Absolutely love this rug, it’s so soft and thick. It... Absolutely love this rug, it’s so soft and thick. It feels amazing on your feet. Will be going back for the runner and smaller rugs. Rated 5 out of 5 by Sheila from Very plush and soft!... Very plush and soft! Rated 4 out of 5 by Russ from Nice rug. Very reasonable price. ... Nice rug. Very reasonable price. Rated 5 out of 5 by Lil from Rug was as pictured! Happy with this purchase!... Rug was as pictured! Happy with this purchase!